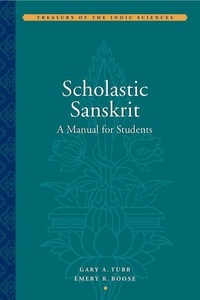 This volume gives a complete introduction to the techniques and procedures of Sanskrit commentaries, including detailed information on the overall structure of running commentaries, the standard formulas of analysis of complex grammatical forms, and the most important elements of commentarial style. Since the majority of expository texts in Sanskrit are composed in the form of commentaries on earlier texts, this Manual will be of great use to many Sanskrit translators. Furthermore, because many philosophical and scientific texts are written in the style of formal debate using the same basic principles, the features covered in the manual are useful for reading all expository texts, whether they are commentaries or not.